This is a wholesale lot of 12 fun hair coloring items. This lot contains a mixture of hair mascara, color sticks, chalk etc. 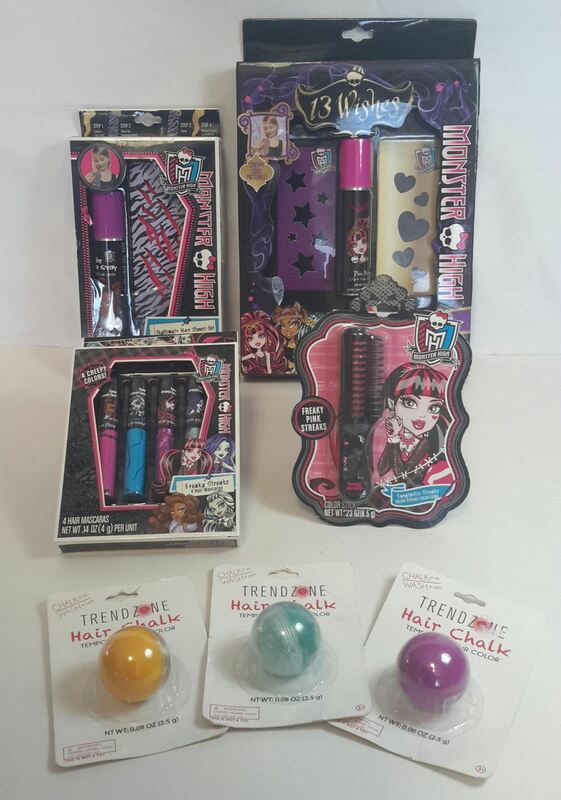 Brands include Monster High and Trend zone. These items are brand new, mostly still in original retail packaging. Great for any type of reseller! Click the button below to add the Wholesale lot of 12 Girl's Hair Coloring Mascara Chalk Glitter Monster High to your wish list.